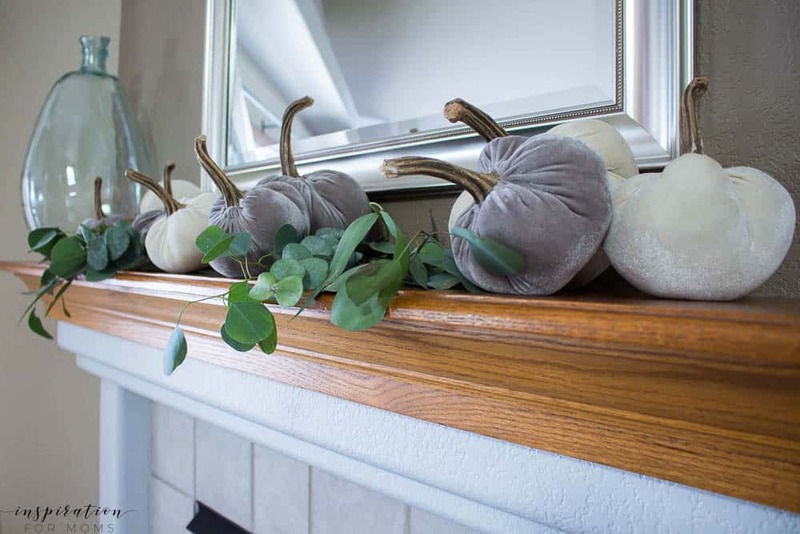 Welcome to a neutral Fall home tour with white pumpkins and plenty of cozy touches. 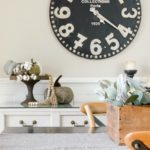 Earlier this week I shared Part One of my neutral Fall home tour, and today I’m back to share with you a few more rooms. 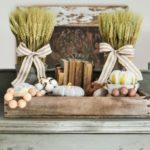 I’ve teamed up with the host Deb, from Seeking Lavender Lane, Kirkland’s and a great group of talented bloggers to show you how we welcome Fall into our homes. 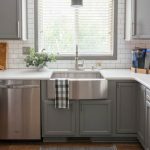 If you are coming from Sarah’s blog at Flatcreek Farmhouse, welcome! For today’s tour you’ll see that my Fall decor is pretty simple. I actually have no real pumpkins. It’s not because I didn’t want any… I tried to find some in like three different towns. They’re just not available here in Colorado until later this week. So thank goodness for some faux ones, right?! 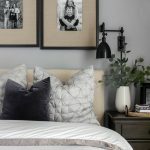 I also kept to a pretty neutral decor, but there’s tons of coziness and inspiration. So enough of me talking, let’s get on with the tour! Welcome to the front porch! My Summer porch had a more of a navy theme. For Fall, I wanted to go with a neutral black and white look. 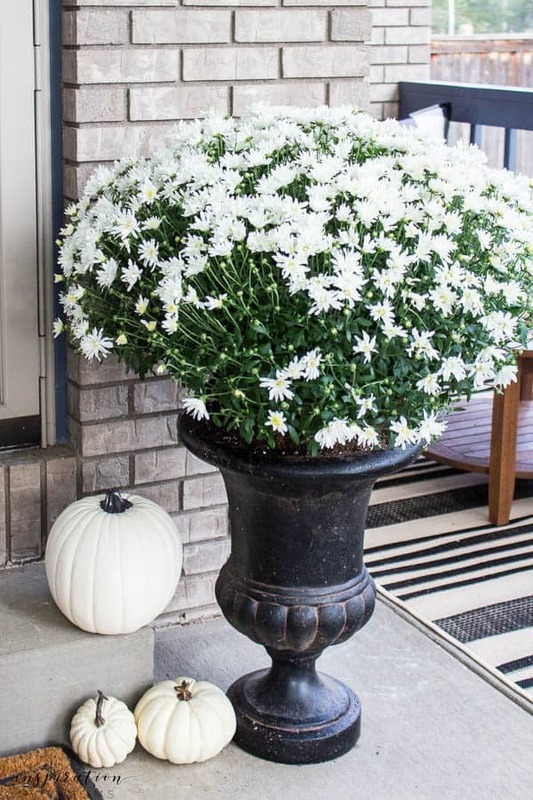 I bought a couple of great black planter urns in hopes of finding some huge mums — which I did! Can you believe I only paid like $10 each for these gorgeous white beauties?! 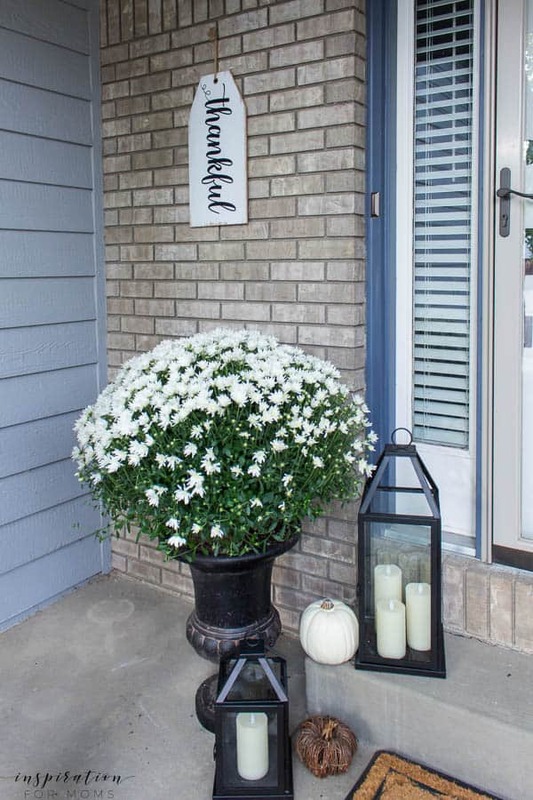 I found a great little Thankful sign to hang next to the front door. It adds a nice touch to this little corner of the porch. And it’s probably one of my most favorite new Fall items. 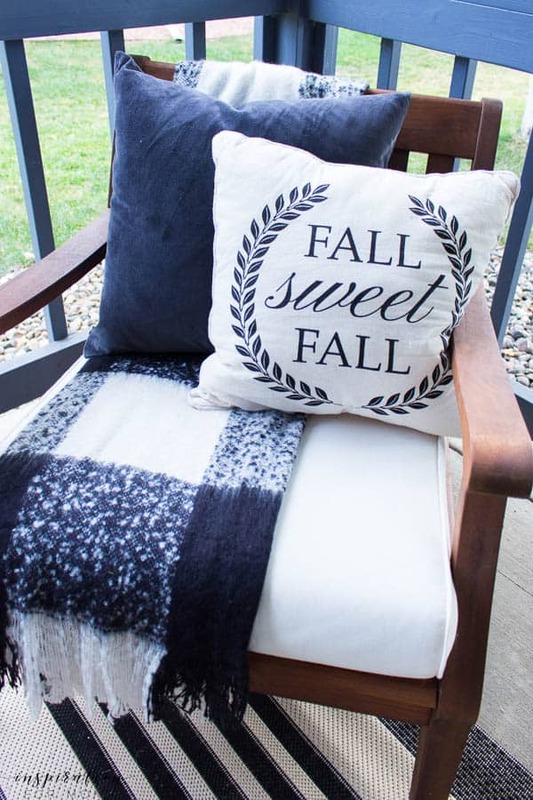 Along with getting a new outdoor rug for Fall, I also got a plaid Fall pillow and buffalo check throw. Both were perfect neutral pieces for this space and complimented my existing outdoor furniture beautifully. 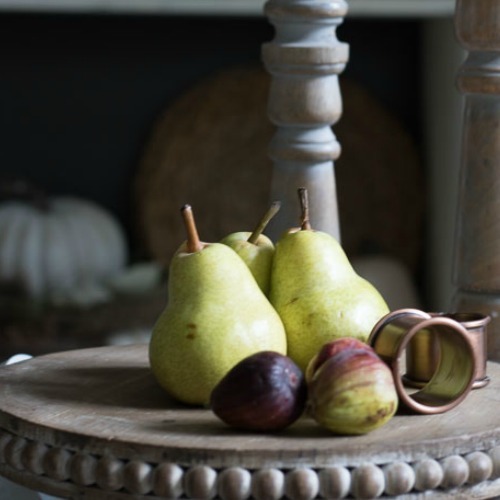 But even with all these new lovely accessories…. there was still something missing. Oh, right! This space needed a few of those beloved buffalo check pillows. 😉 The grey velvet pillows were thrown in just to make the outdoor lounging area even cozier. 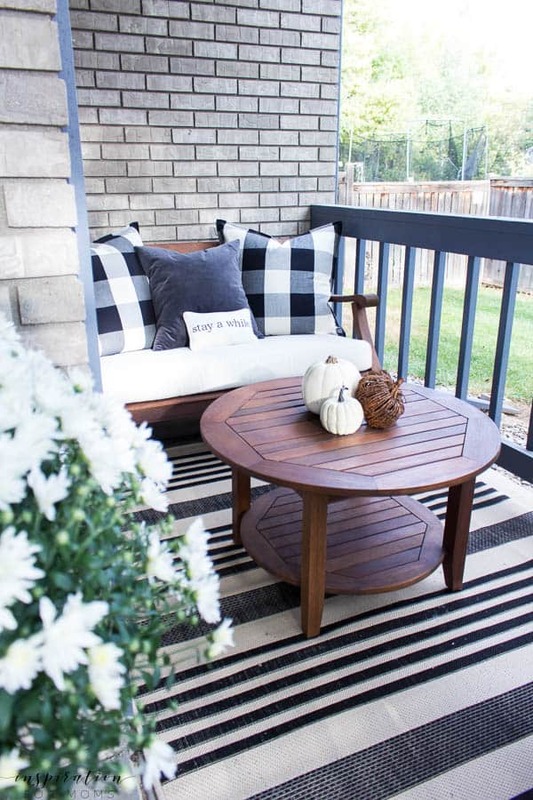 Now this patio is perfect for cool evenings, snuggled up waiting for that gorgeous Fall harvest moon. I hope you enjoyed my neutral Fall home tour. The next stop on this tour is On Sutton Place. 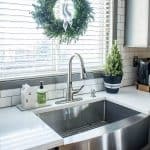 I’ve been a fan of Ann’s home decor for years– I know you’re going to love it too! 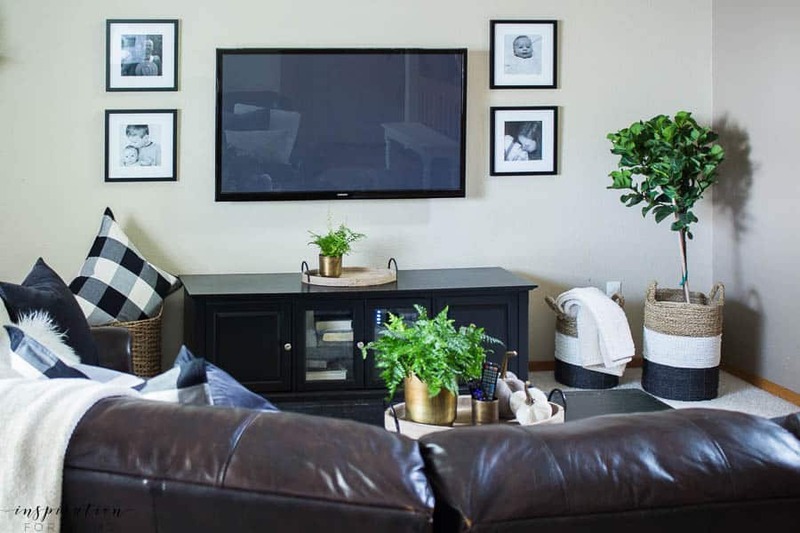 If you are looking for even more Fall home inspiration, be sure to check out all the other stops on the tour happening all week long. 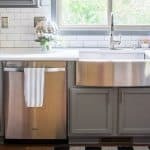 And don’t forget to enter the gift card giveaway to Kirkland’s! *Disclosure: This post was sponsored by Kirkland’s. Laura, your big white mums look so healthy and pretty! Perfect for the porch. 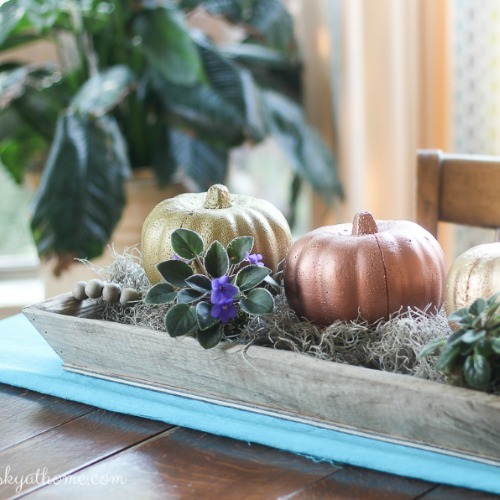 Love your little velvet pumpkins too! Thanks, Jennifer! Those mums were the steal of the season. Happy to tour with you! Happy Fall! Laura, you’ve done such a lovely job decorating for fall. 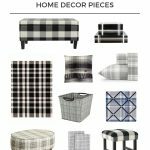 I LOVE those buffalo check pillows! Thank you, Jenna! I think I’m a buffalo check pillow addict, but I don’t care! 😉 Thanks for stopping by! I love your porch! 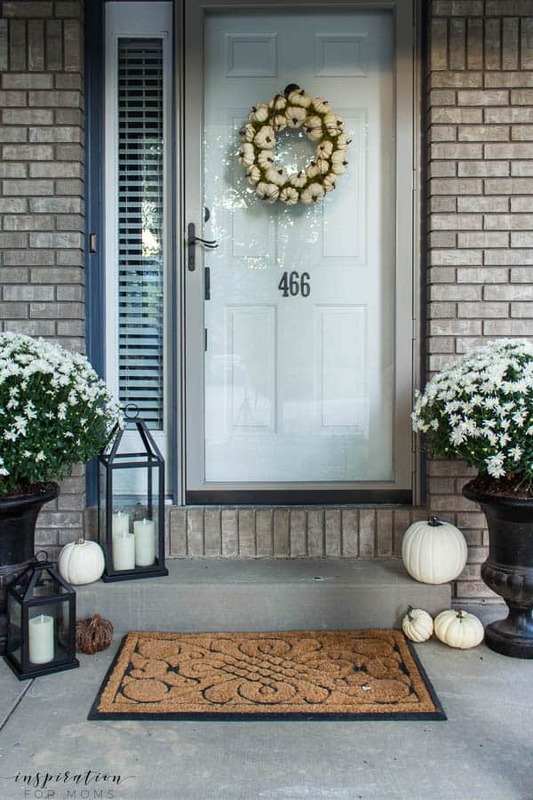 The white mums are gorgeous and it welcomes the new season so well! Happy fall! Thank you, Linsday! Those mums were like the score of the season! Happy Fall to you! Laura, I love your front porch decorated for fall. Since we don’t have a front porch, I’m always jealous. 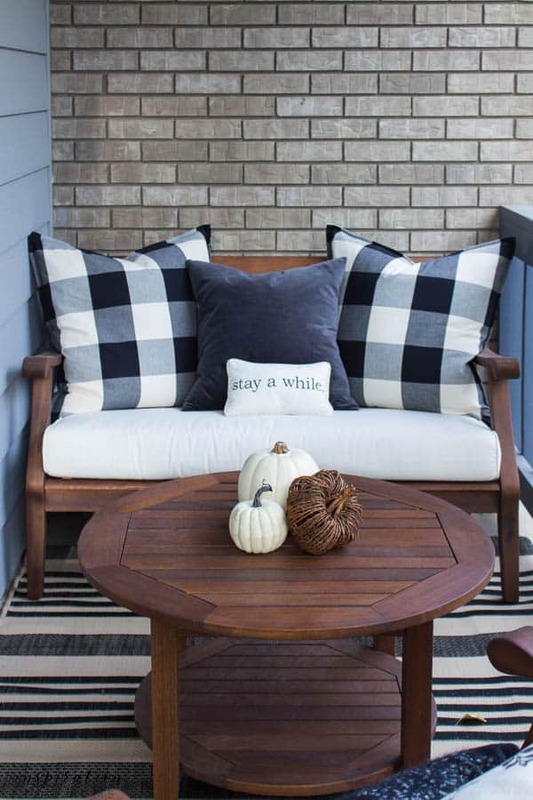 The buffalo check pillows, blanket and bench look like the perfect place to enjoy a fall afternoon. 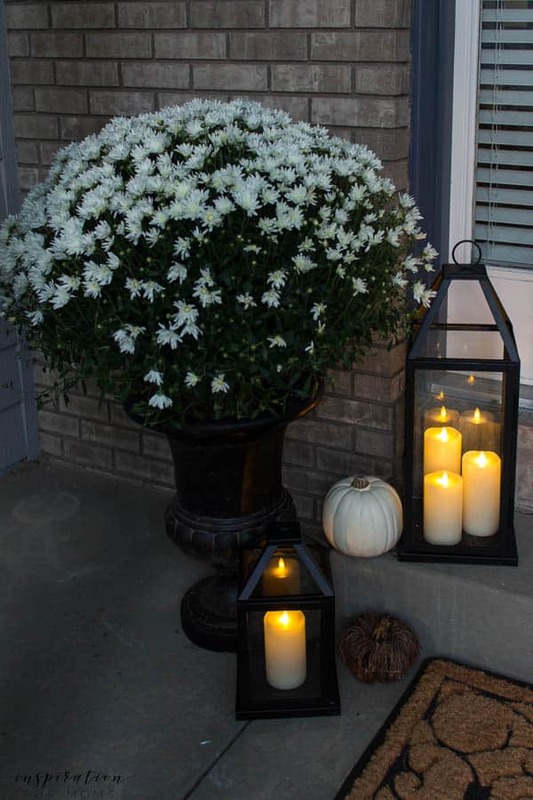 Love the white mums in the black urns. Happy to be sharing the Fall Home Tour with you. Thank you so much, Carol! It was an lovely to tour with you as well! 🙂 Happy Fall! 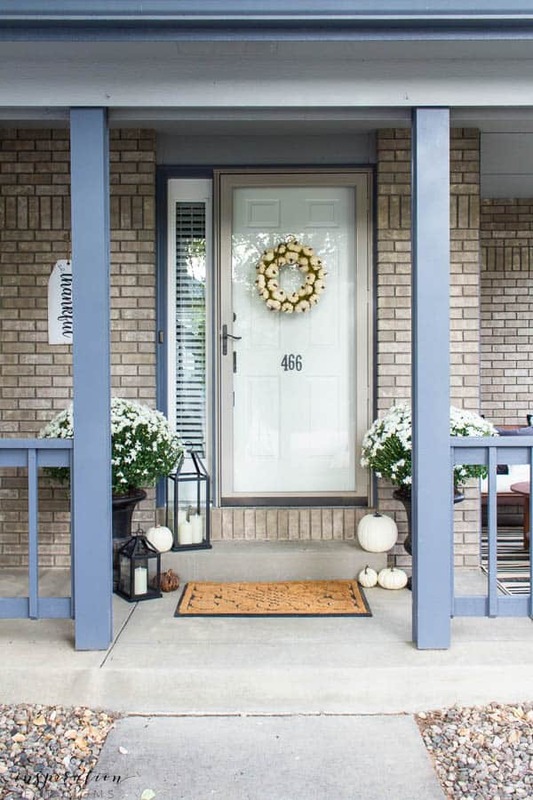 Your porch is so beautiful! It’s warm and inviting and I would love to sit there with a cup of coffee.Love it! 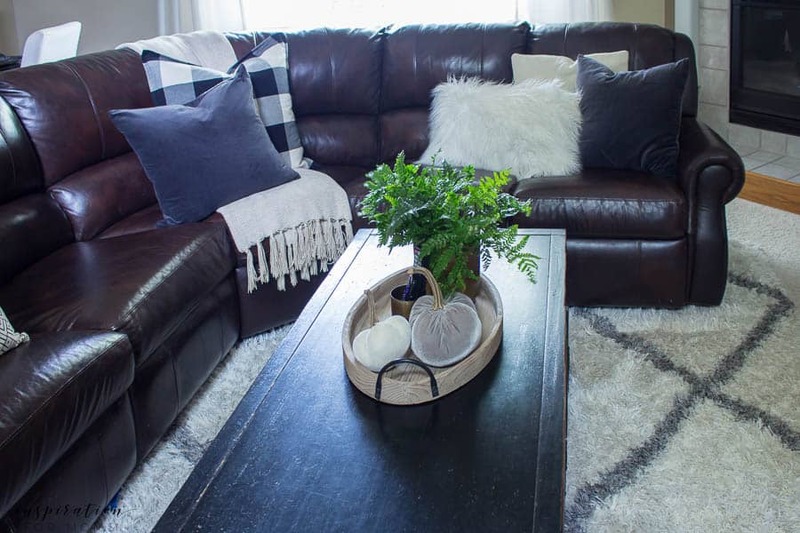 One of my many favorite items from the website is the Villena black microfiber curved arm sofa. 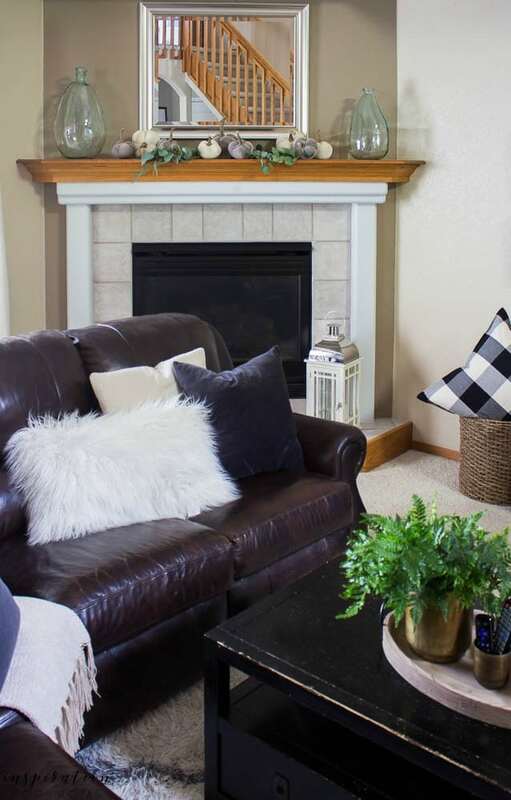 Everything looks SO cozy and perfect for Fall! Laura – this is so beautiful! 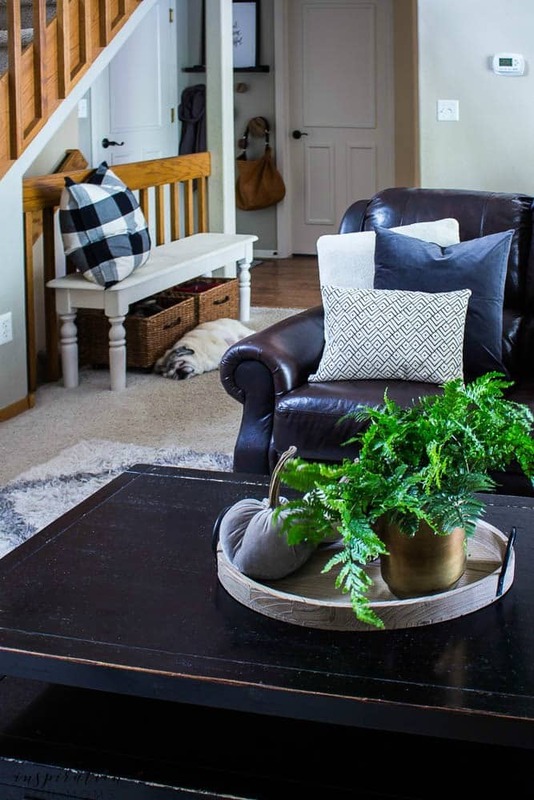 I love that chair with the plaid throw! So cozy! Thank you, Jen! I think for me, this is the year of buffalo check! 😉 Happy Fall! so pretty and that sleeping pup just shows how homey it is!!! My favorite item from Kirkland is the Ashton Crescent Leg Console Table. Laura, you might just have the cutest porch ever! I wish I could stop by for coffee. 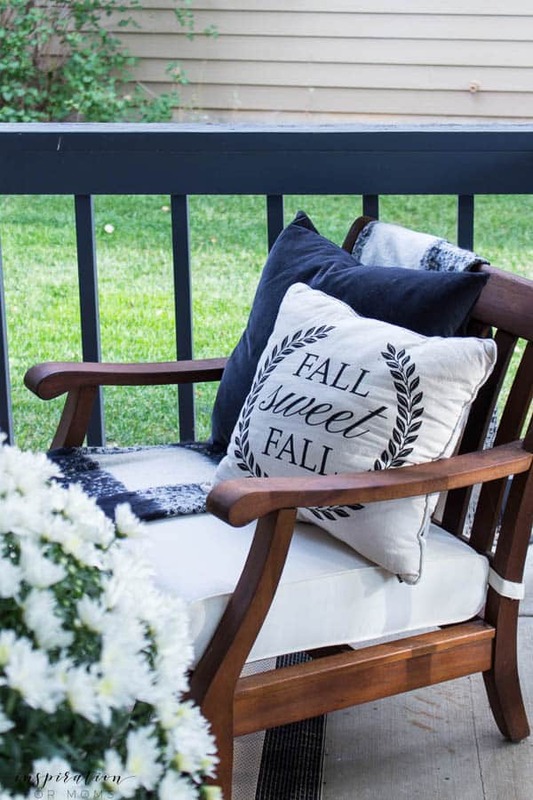 I love every little fall detail, friend! I know…those mums were epic! 😉 Enjoyed touring with you! 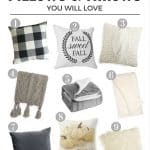 My favorite item is the various pillow decor. Love the colors and fabric, pairs so well with the furniture 🙂 thanks for the chance to win! I love all the buffalo check! It’s one of my favorite patterns this fall. Everything looks so beautiful! I love all your porch decor!! It makes me want to use black and white!! I am in love with your porch! So pretty! Would definitely cop your front porch! 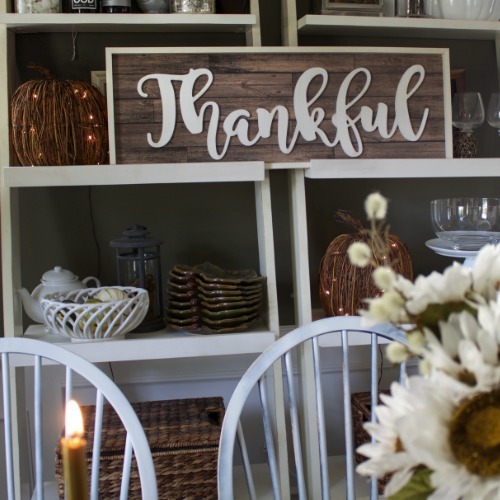 I also like the thankful sign and the combination of neutrals and touch of dark tones. 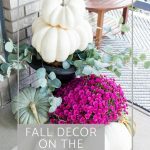 I lov e your fall decor , that porch!!! wow beautiful!! !